Studies show that people perform their work far more productively when employed in comfortable working environments. The team within Premier Modular have continually focussed on this during their product development phases and in their provision of temporary accommodation to support the UK’s construction teams. Premier’s buildings and services are supporting a large number of clients on a variety of significant infrastructure projects. A contribution to Premier’s success is a recognition of this productivity fact by many clients looking to maximise the performance of their staff and contractors throughout the life of their construction projects. 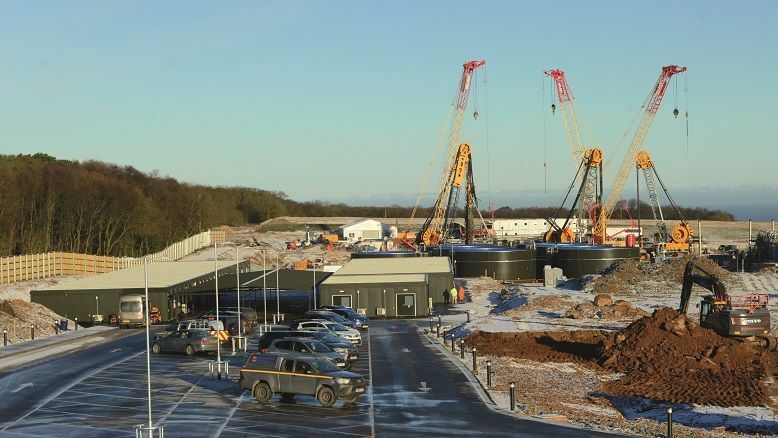 Premier have supplied around 40,000m2 of facilities in the last year that are currently supporting the construction of three significant UK infrastructure projects at Hinkley Point C, Sirius Minerals and HS2. On analysis there was a thread of common themes from these clients in their selection of office and welfare facility supplier. Firstly a business who had the capability and track record of construction of high quality and comfortable working environments. Secondly an innovative business with a can do attitude in terms of flexibility in product layouts and finishes. Finally and critically a company with a long history and proven track record of safe, reliable and focussed delivery in complex, difficult working environments. All of Premier’s temporary accommodation is designed to be flexible in layout, combined with a minimum 2.7m ceiling height, 12m clear span and fully interchangeable configurations up to 5 storey height. These basic elements serve to create the basis of a great working environment, allowing for well ventilated and more comfortable office areas not hindered by structural columns. Manufacturing through lean flow lines in Premier’s 5 factories in East Yorkshire, build quality levels are extremely high in this controlled environment and waste is dramatically reduced through smart design detailing, reuse and recycling. Premier also achieved the aspirations of EDF energy for their temporary facilities; constructing 30,000 m2 of office, welfare and catering accommodation at Hinkley Point C to house over 5,000 construction workers, supporting the 10 year Nuclear power station construction build. Due to the complexity of the site restrictions, maintaining a motivated workforce is critical to the construction plan. The aspiration set was to have the best site office, welfare and catering facilities in Europe; something Premier is proud to have achieved as commented on by the site union representatives. In an increasingly time pressured market, expectations of build quality and innovative design, need not be diminished. Creating the best working environment in your office and welfare accommodation for your employees and teams should not be underestimated. Partnering the correct accommodation supplier with the right product, attitude and demonstrable capability will pay dividends during any infrastructure project construction.